John Harrison, English clock maker, 19th century. 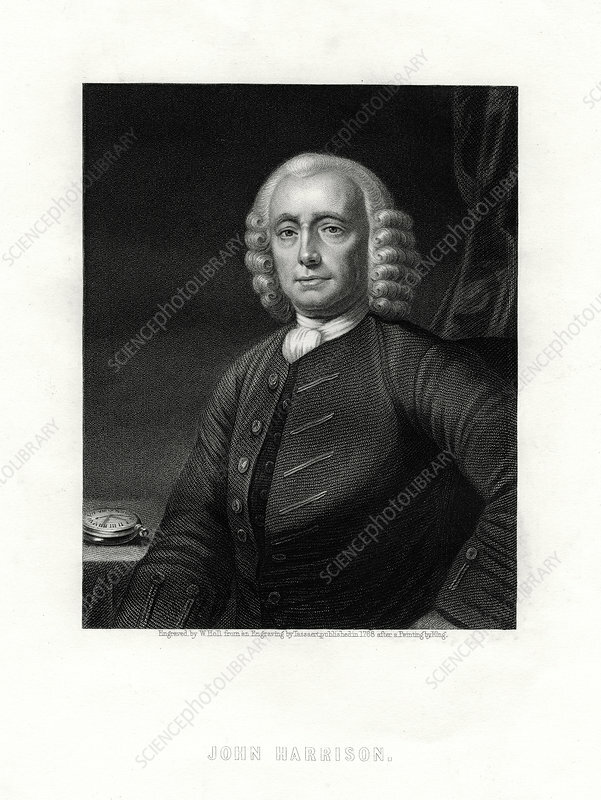 Harrison (1693-1776) designed and built the world's first successful maritime clock, one whose accuracy was great enough to solve one of the most pressing scientific problems of the day - how to calculate longitude at sea. Artist: W Holl.